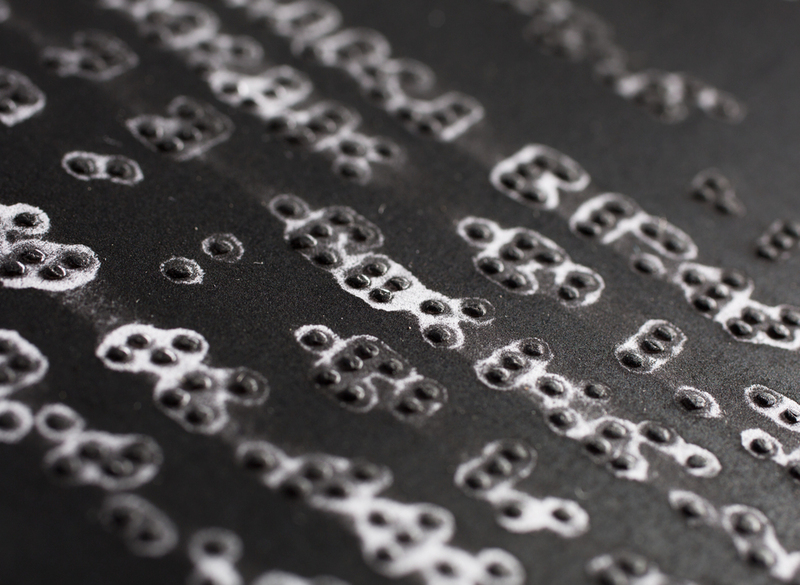 This publication tells the story of the invention of braille as a communication method for the blind. 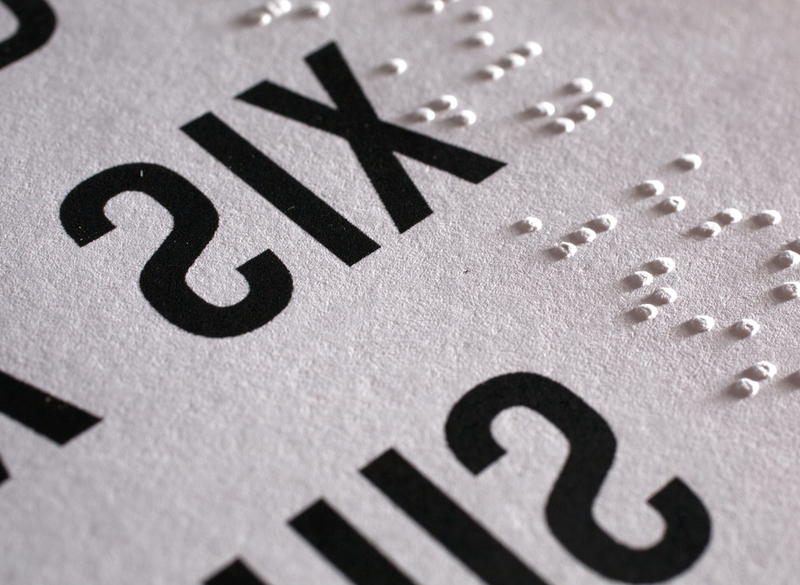 Typography has been used over the printed braille in designs that aim to confuse the reader and make it difficult for them to read the typography. 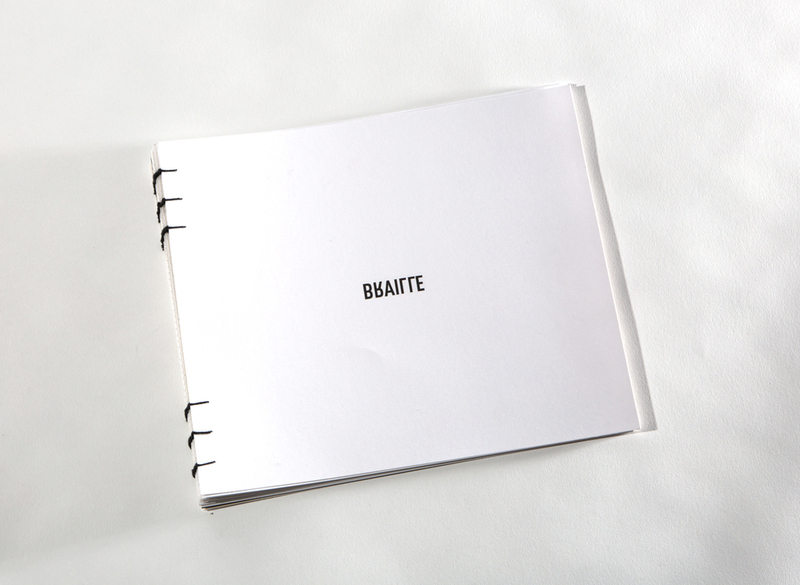 This intends to draw a parallel between the difficulties people with no sight face every day when trying to communicate.